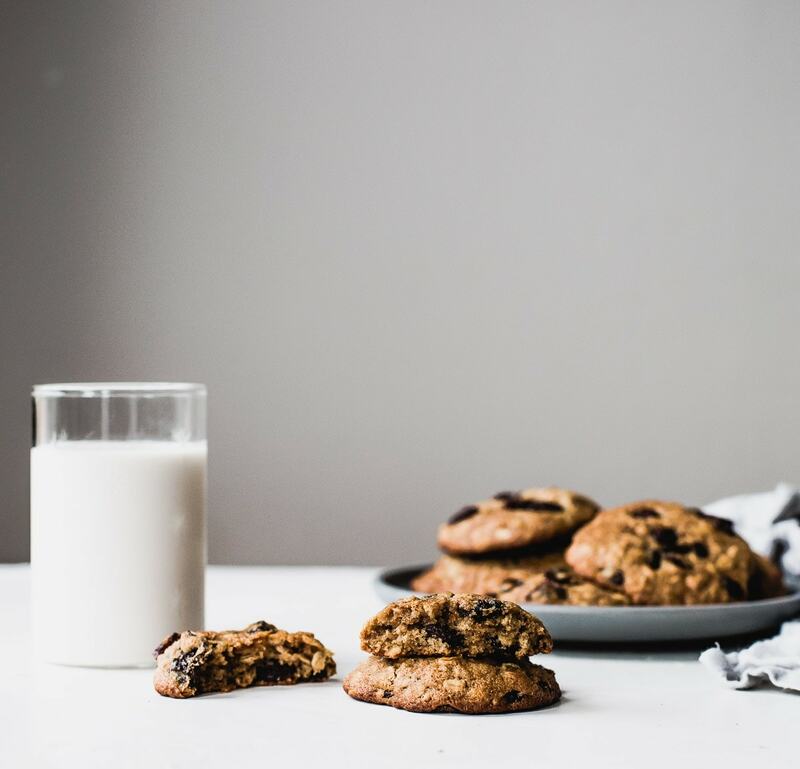 Thanks to California Olive Ranch for sponsoring this Gluten Free Oatmeal Raisin Cookies recipe, and their continued partnership this year. 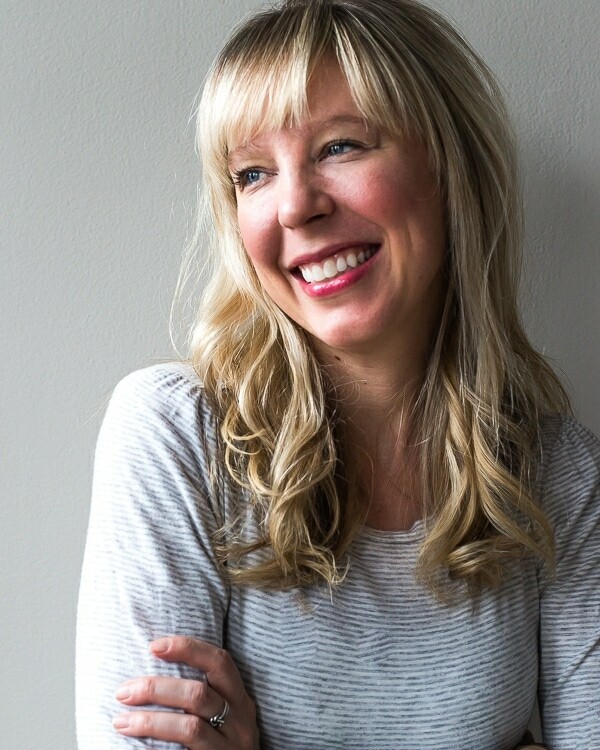 You’re in my kitchen every day, making food taste great in the most honest way. Admittedly, I’m mostly a chocolate chip cookie kind of gal. 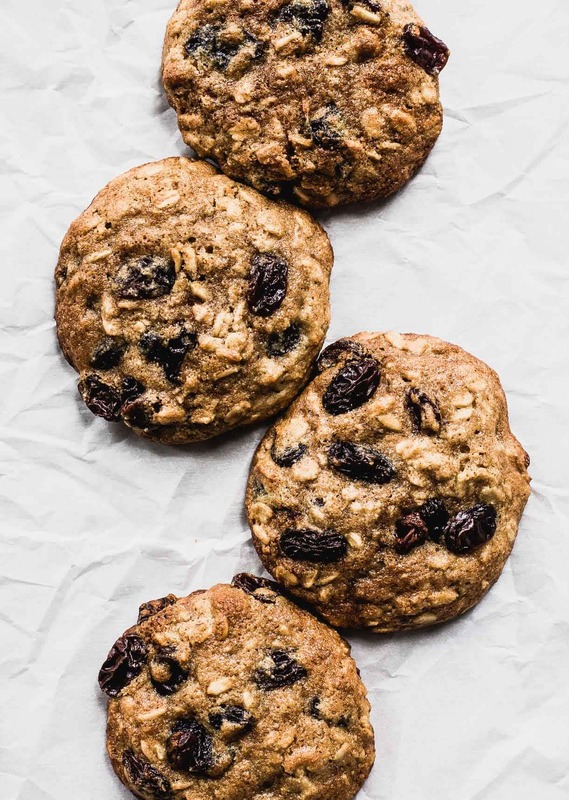 But a few times a year, I get a mad craving for an oatmeal raisin cookie that hits all the high notes: moist, chewy, nutty, spiced, sweet. And definitely not crispy. Problem was I’d never been able to make one at home that fit the bill, instead relying on the bakery to cure my hankering. And then it became impossible to find one that was gluten-free. So I decided to fix that little predicament. Over the course of about, ohhhhhhhhh 8 recipe tests in the past few weeks. Until…… BINGO. In my mind, I really wanted the cookies to be as close to the classic in flavor and texture without you having to buy any “hard to find” flours. So I turned to almond flour for the base (along with old-fashioned oats), as I appreciate how tender it makes baked goods while still giving structure. I didn’t want something like coconut oil to overpower the warm spices and nutty flavor, so I used California Olive Ranch’s Everyday Olive Oil, harvested on family farms in northern California. 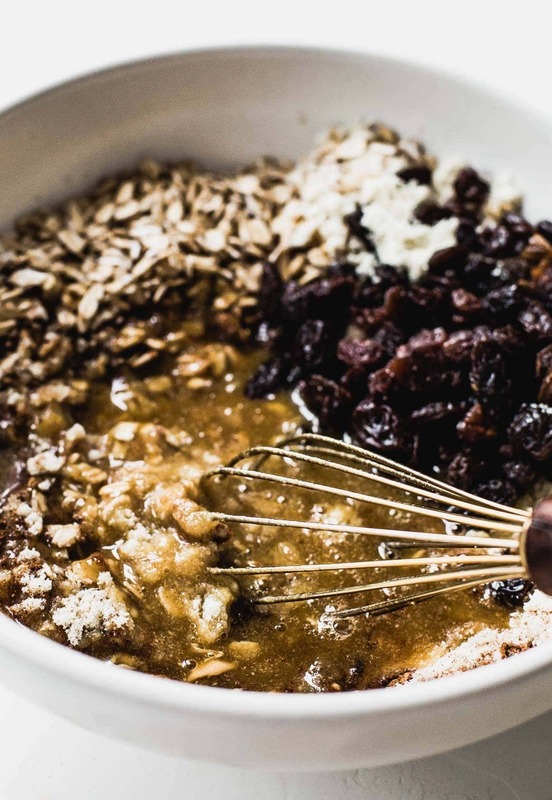 Not only is the flavor harmonious with the fruitiness of the raisins, but it also adds extra antioxidants (natural chemicals that help protect our cells) and vitamin E to the cookies for a heart-healthy boost. The vitamin E also helps with freshness, and adds that extra bit of moisture for softness. Although they’re full of good for you ingredients, these taste nothing like “health biscuits”, as Brian has coined my less desirable treats. 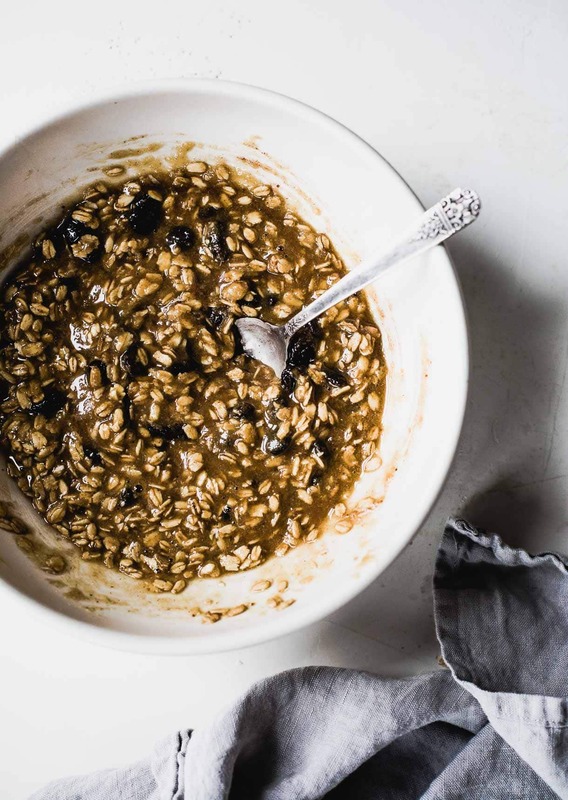 A warm blend of nutty oats and honey, studded with the perfect ratio of plump, sweet raisins. Part of the secret to these cookies (and a lot of my baked goods) is using pumpkin pie spice! It brings depth and a sense of cozy without needing six different jars of spices to achieve. 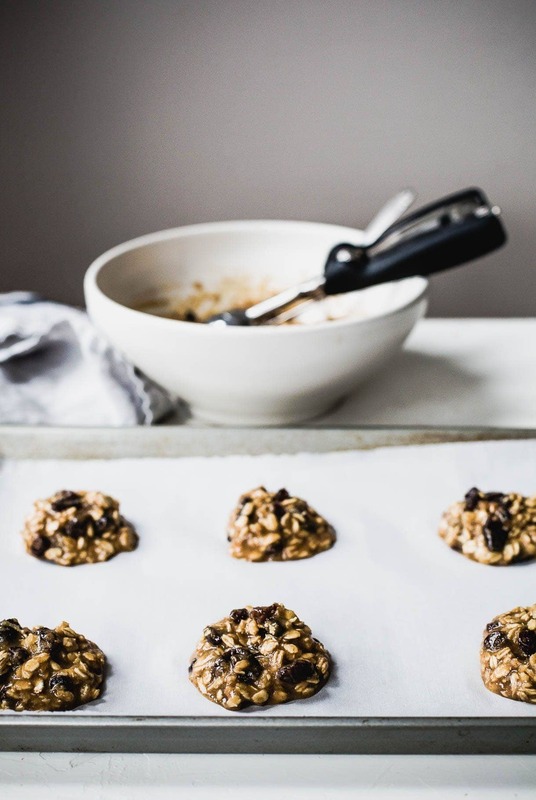 And just as good as the taste, the scent that wafts from the oven throughout the house as these Gluten Free Oatmeal Raisin Cookies bake is quite nostalgic. Enjoy, xo. If you make these Gluten Free Oatmeal Raisin Cookies, be sure to tag me on instagram @heartbeetkitchen, or with hashtag #heartbeekitchen! In a large bowl, whisk together almond flour, oats, baking soda, salt, and pumpkin pie spice. 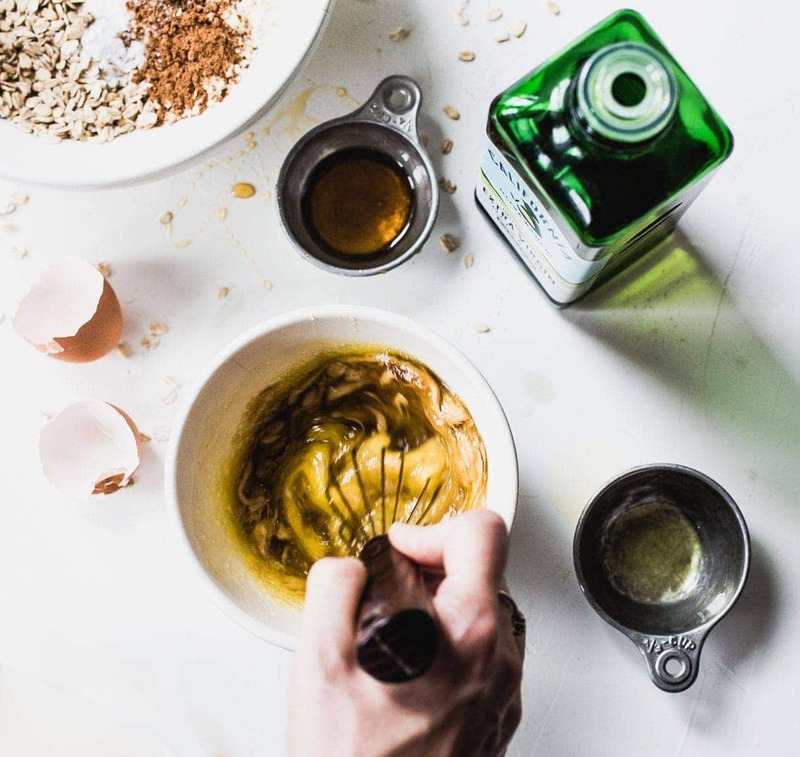 In a second bowl, whisk together olive oil, honey, egg, cashew butter, and vanilla. Pour 1/2 of liquid mixture into dry and stir a few times, then pour remaining in and whisk lightly until no dry streaks remain. Fold in raisins. Using a cookie dough scoop, scoop and put onto a parchment lined baking sheet. Bake for 11 minutes. Let cool on cookie sheet for 6-7 minutes. Really. :) They're quite tender when warm, but will firm up. Place cookies onto cooling rack to finish cooling. Enjoy! This post contains Amazon affiliate links, which I may make a small commission from should you decide to purchase, at no additional cost to you. The Best Gluten Free Monster Cookies + How to Package Cookie Dough For Gifting! He approved these happily! :) Always my tester. And yes, the richness the olive oil brings is so lovely! Yes, I remember you posting some olive oil cookies too! Such a lovely ingredient. Since I can’t eat almond flour, I wonder if another GF flour could substitute that would provide something near the texture that almond flour offers. I’m wondering what other flours you tested the recipe with. Yay! I hope you love them. Ps- they make awesome cookies for ice cream sandwiches! Oh my gosh Amanda these look dreamy!!! I feel you with the recipe testing – I’ve been working on my single serving chocolate chip cookie and it took FOREVER to nail down. (It also uses California Olive Ranch olive oil!) I can’t wait to try these out. Yay! So glad you liked the recipe. Thanks for letting me know!